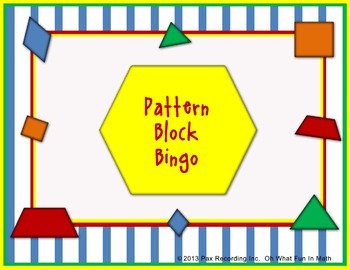 Quick Directions: Students play a game of bingo. 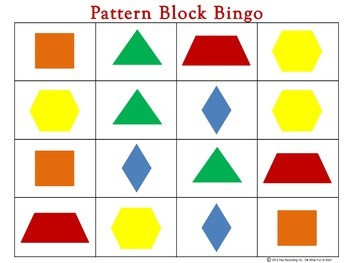 The teacher will pull a pattern block shape out of a bag and students must find that shape in a pile of pattern blocks and place it on their board. *This works great for a small group. The teacher can immediately help a struggling student. Check out my other things for sale.